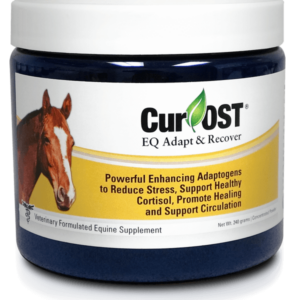 Cur-OST EQ Cool Down is a unique formula that promotes an overall cooling effect to the equine body while also providing a potent base of rejuvenating properties, antioxidants, natural nutrients and electrolytes, natural prebiotics for digestion, and numerous phytochemicals to support overall health and recovery. Cooling Artichoke, Blueberry, and Aloe extracts to help cool the over-heated body, promote recovery and cellular health. Beneficial for any horse that tends to run a little hot but may also benefit those horses with EIPH and Anhidrosis conditions. 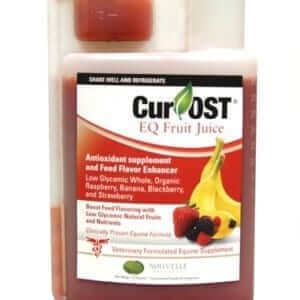 Does your horse experience a lack of sweating? Overheating or general anxiety when it comes to higher temperatures and excessive work? Cool them down internally and support their recovery and overall health! 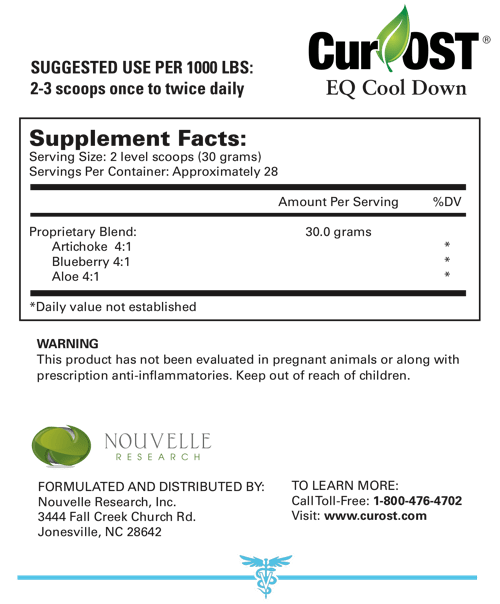 Cur-OST EQ Cool Down is a unique blend of cooling herbs with tremendous antioxidant and nutritive potential to aid the horse that tends to run a little hot. Concentrated Artichoke, Blueberry, and Aloe extract help to cool down the body and support recovery and cellular health. Packed full of natural antioxidants, natural nutrients and electrolytes, natural prebiotics for digestive health, and natural phytochemicals to boost cellular health and recovery. Beneficial to any horse, but especially those that tend to run more hot, sweat often, or experience EIPH or Anhidrosis conditions. 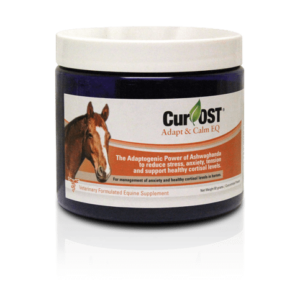 Supports digestion and a healthy digestive microbiome in the horse due to natural fiber and pre-biotic potential present within the Artichoke, Blueberry, and Aloe extracts!